Search Results for "dates fruit"
Hand folding out dates fruit in the package. People putting dates out of carton. Hand taking dates fruit in the plate. People taking dates out of saucer. Hand folding dates fruit in the plate. People putting dates out of saucer. An Asian fruit seller lady sells fresh dried date fruit near the market in Bangkok, Thailand. Dried dates (fruits of date palm Phoenix dactylifera). 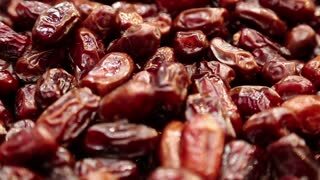 Pile of fresh dried date fruits, 4k footage video.